The article, not the trope - because I'll once more be running a couple of surpassed conventions on the blog. Those who missed this series of articles last time might be wondering exactly what I'm on about - so for you, an explanation! There are certain features of novels which are considered overused: cliche, stereotype, or simply too typical - and this feature is to name those which we enjoy despite it. Whether it's because the feature in question is justified (for example, magic glows in The Stormlight Archive because it's stormlight - captured and rereleased), subverted (as with Aliette de Bodard's Obsidian and Blood series), or simply driven up to such a scale that it's fun despite its previous use. Whatever the reasons, Surpassing Expectations is dedicated to finding the novels which do this with specific tropes - so if you have one, don't hesitate to recommend in the comments. So, without further ado: the overused. 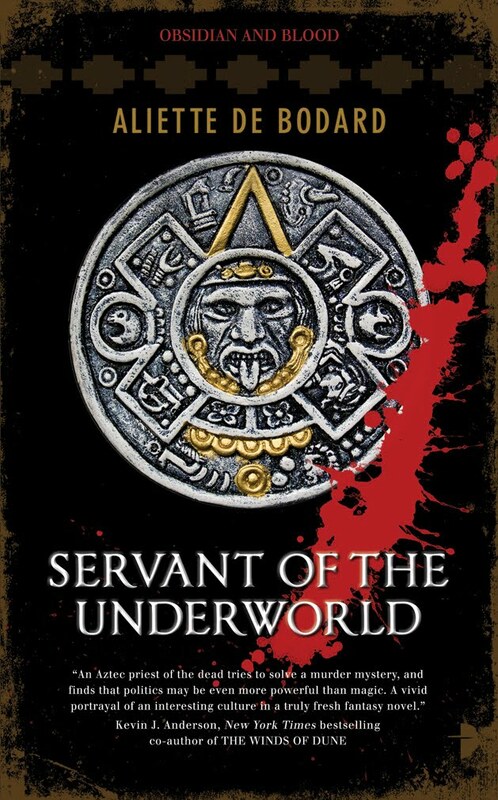 And this stereotyped version of the Aztecs has coloured our own perceptions, which means the series in question - Aliette de Bodard's Obsidian and Blood - is even more welcome. As its civilisation, it takes a historical fantasy version of the actual Aztecs - not their Fantasyland counterparts. Which is rather wonderful! The sacrifices are justified, at least to them: in this historical fantasy, their gods do exist, and both appeasement and magic requires blood. Becoming a sacifice is even honourable for captured warriors, and human sacrifices are far rarer than their flanderised counterparts. Furthermore, this is the least part of their civilisation - which comes with (shock! Horror!) customs and traditions which don't involve casual homicide. Talking of homicide, the stories involve an Aztec priest of death solving mysteries. What's not to love? Not so much a cliche as an overused plot device, amnesia is nonetheless a staple of fantasy. Thankfully, it's become less so, but it can be done well. Do I have an example for that? Why, coincidentially, I do... Roger Zelazny's Chronicles of Amber, and specifically the first novel of that series. Corwin wakes up amnesiac in a hospital in New York. So far, so typical. What surpasses reader expectations is what he does with it: far from playing the typical amnesiac and attempting to regain his memories, Corwin bluffs that he possesses them, among people whose loyalties and histories are uncertain. And somehow, it works... And turns out a great deal of fun. 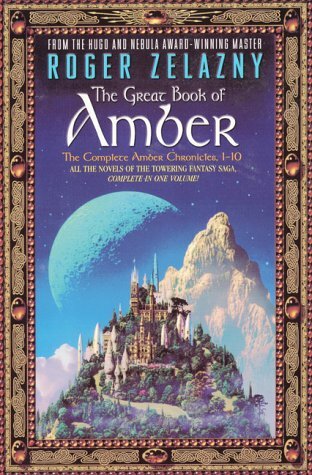 If you haven't read Zelazny, he's a classic fantasy writer, and is well worth the investment.